The unknown girl (Mio) Mamoru almost hit is completely unconscious so Mamoru takes her to a hospital for treatment. After a while of waiting, she begins to wake up and reaches over to take Mamoru's hand and thank him. It's an obvious ploy to steal him from Usagi. 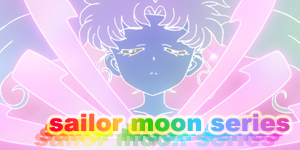 Mamoru takes his hand back and tells her that she doesn't have to thank him and goes to call Usagi. Usagi however has gone to bed already so she can get up early for the Minako concert tickets that go on sale the next day. When Mamoru calls her and explains where he is she sleep talks through the conversation and then hangs up. Mamoru smiles. Elsewhere in the hospital, Minako is resting with Artemis by her side. She talks about how even though there is a possible operation she could do that may save her, she's decided to not waste what life she has and to stop the past from repeating itself. Artemis seems very sad. As they get up to leave, they see Mamoru leaving the hospital and run after him. They're stopped however by the appearance of arrival of Zoicite. 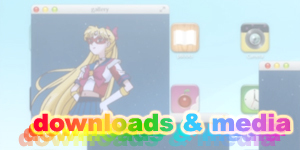 Minako transforms into Sailor Venus and fights him and warns Zoicite to keep his prince away from their princess. Zoicite warns Sailor Venus to keep her princess away from his prince and then they both realise that they have the same goal and decide to work together. 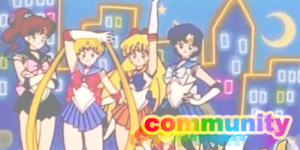 They meet at a place overlooking the harbour and agree that if Zoicite helps Usagi close her heart to Mamoru, then Sailor Venus will help save Mamoru should his life ever be in danger. Zoicite gives Sailor Venus a crystal music box. The next day, Usagi arrives at the ticket office and is shocked to find out that all the tickets for the concert are sold out! Immediately after she leaves, Makoto arrives and has an even worse reaction and begins to jump up and down when she finds out the ticket situation. 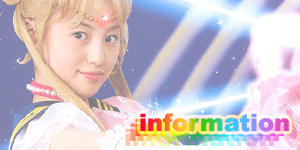 On her way home, Usagi is stopped by Minako who invites her into her car and to have lunch with her at a restaurant. Once they get to the restaurant Usagi takes this opportunity to thank Minako for her songs as whenever she feels down she sings one and it makes everything feel better. 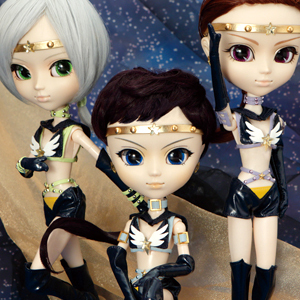 Artemis, who is looking from behind a corner feels sorry for what Minako must do next. Minako opens the crystal music box which begins to play music. 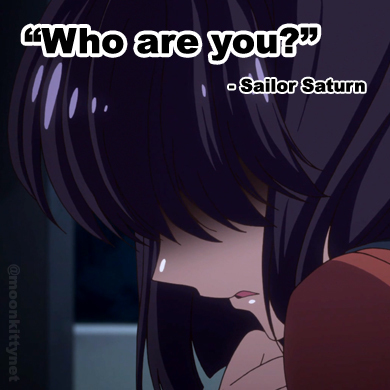 Suddenly Usagi freezes and her memories of Mamoru are one by one deleted from her mind. Elsewhere, Mio has confronted Mamoru and tells him that she wants to thank him. She slowly reaches one hand out to touch him but he slaps it away. Mio then throws herself at him and embraces him as a burst of black energy begins to fly around them. Mamoru is shocked at first but eventually the black energy begins to take effect and slowly hypnotises him into a trance like state. Mio laughs evilly as does Queen Beryl, watching through Mio from the Dark Kingdom. Mio leads the entranced Mamoru away but is confronted by Kunzite who has decided to kidnap Mamoru to hold against Queen Beryl. Jadeite appears to stop him and the two generals fight. Zoicite then appears in front of Minako and tells her that he needs her help to save Mamoru now. Minako is having second guesses about her decision though as Usagi is still holding onto her love for Mamoru despite having all of her memories erased. 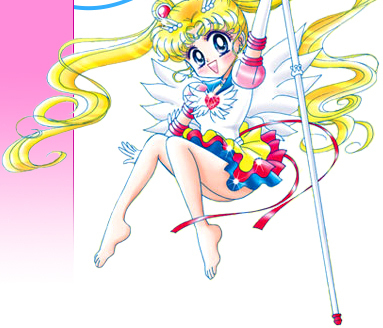 Eventually Minako decides to destroy the box which wakes up Usagi who then senses he's in danger and runs to his aid. Mamoru simultaneously breaks free from his evil spell and watches as Kunzite and Jadeite fight around him. Mio then teleports away. Sailor Moon and then Sailor Venus arrive and they all fight until Queen Beryl shows up and blasts Kunzite and Jadeite back to the Dark Kingdom. Sailor Venus then gives Sailor Moon two tickets to her concert as an apology present for what she almost did and walks away. 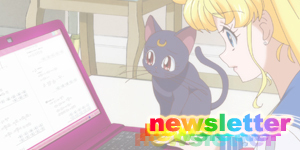 Sailor Moon wonders aloud how Sailor Venus got the tickets to Minako's concert. Mamoru begins to laugh at how slow Sailor Moon is and tells her that he worked out her identity when she was still Sailor V. Sailor Moon puts two and two together and it finally clicks: Minako Aino is Sailor Venus! Later on, Usagi and Mamoru both go to Minako's concert and arrive right in the middle of her first song, Kiss Kiss, Bang Bang. Suddenly, Minako's vision begins to blur and she collapses on stage in front of everyone! 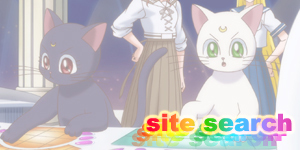 Usagi screams out Minako's name. 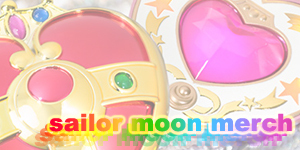 Sailor Moon finally realised who Minako/ Sailor V/ Sailor Venus really is!